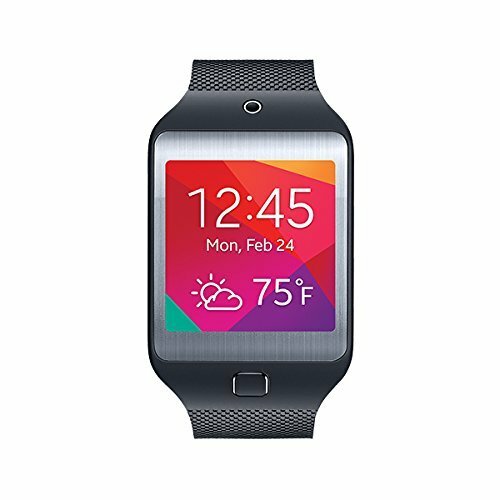 From Samsung brand products, The Gear S2 Classic 44mm Smartwatch. Black Version. Runs on the Verizon Network and is Wi-Fi capable. Only comes with the Large Size band. Stainless steel frame and a genuine leather band. Connects to your smartphone to bring you notifications, track your health, and even replace your wallet. 1 GHz ARM Cortex-A7 dual-core processor with 512MB of RAM. Runs on the Tizen operating system. Bluetooth 4.1 technology. 1.2"-inch 302 ppi circular AMOLED touchscreen display. 4GB of internal memory. IP68 rated for water and dust resistance. Compatible with Android and iOS, but some features on iOS may be limited. 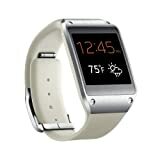 Includes: Gear S2 Classic 44mm (Verizon), Large Size band, Charging Dock, OEM Wall Charger, and OEM Micro-USB Cable.